Use as few words as possible! The more words you use, the fewer results you'll get. Searching just "vintage 12-18" or "vintage 80cm" will garner you many more results than "boys vintage romper 12 months". Once you have found an item that speaks to you, even if it's the wrong size, check out the seller's other items, chances are they're selling other similar pieces. It's a good idea to save/favourite sellers so that you receive notifications when they list something new. Know your brands. Learning the names of vintage brands means that you'll be able to track down pieces where the seller hasn't used the word "vintage", this is where you are likely to snap up real bargains! "St Michael", "Laura Ashley mother and child" and "Michael de Leon" are a few to get you started! Use the filters. This allows you to put fewer words in the search bar but still filter down your results. 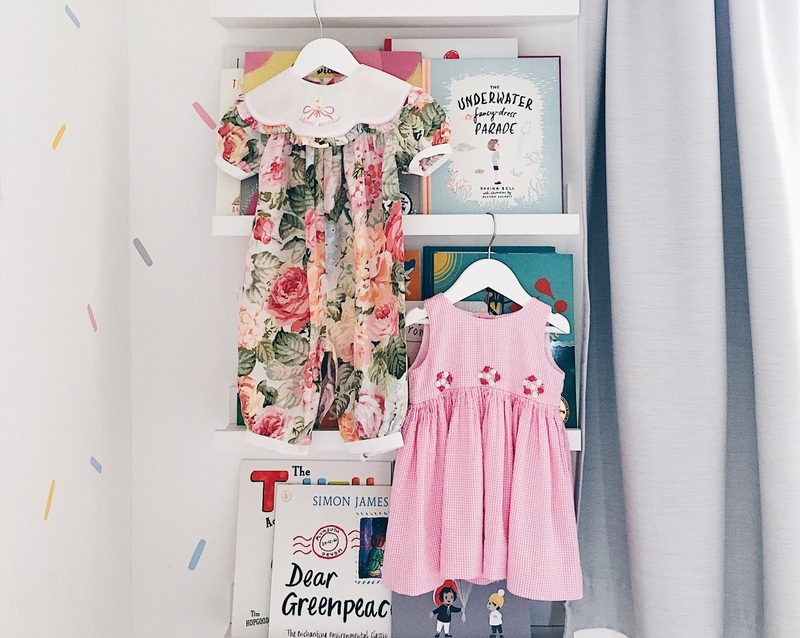 A search of the word "floral" can be narrowed down to a handful of relevant results by choosing "Clothing, shoes & accessories>children's vintage clothing". Checking the "used" box can be similarly helpful although it will filter out that holy grail that is the unworn vintage!! Learn your child's size in cm. Many vintage pieces, even 1980s mothercare was sized in cm rather than age brackets. 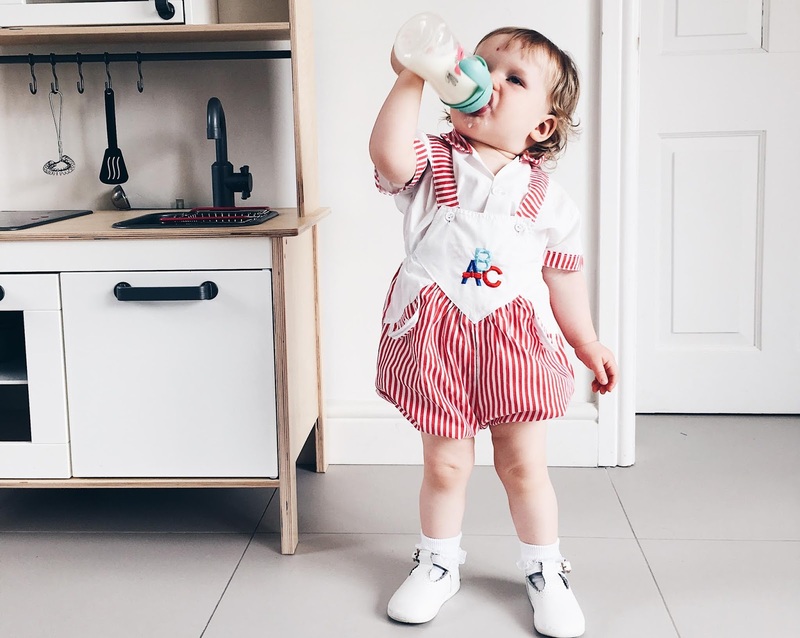 My little girl is aged 18 months and wears an 86cm! If at first you don't succeed, keep searching! Finding good quality children's vintage clothing on eBay can be a real slog, but is so worth it when that little hand-wrapped package arrived through the letterbox! Happy hunting. 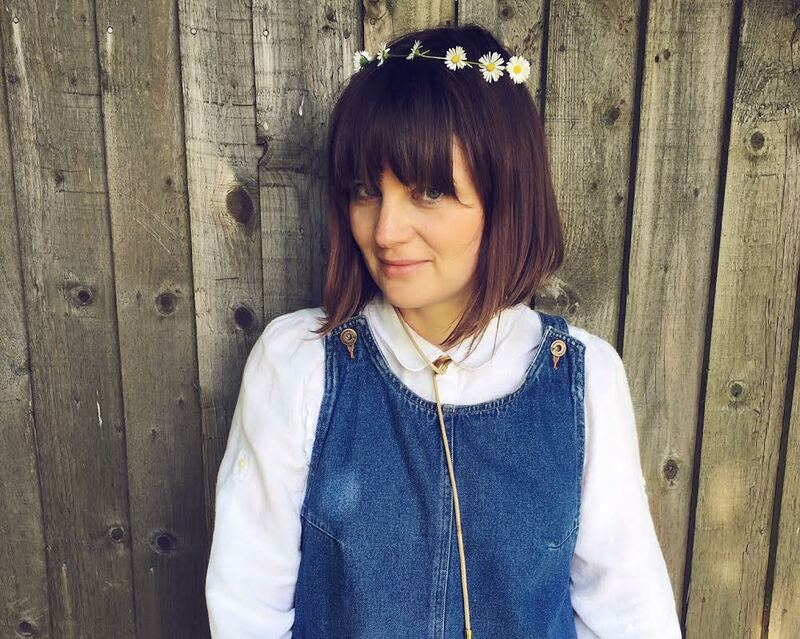 I hope you've found this helpful, I'd love you to pop over and tell me about your shopping successes on my Instagram!